How Can Workstations Improve the Daily Worklife of Nurses? Healthcare professionals are responsible for many people’s lives. In their daily routines, they care for a number of people and have a lasting impact on patients. But who is looking out for them? Nursing can take a toll on the body and one way to mitigate long-term bodily damage is through an ergonomic work environment. Ergonomics is a branch of science dedicated to a holistic working experience. It is the study of people in their working environment and the ways that they react and respond to it. To practice ergonomics is to evaluate the human experience in relation to their workplace-- the ways in which that space interacts with the bodies in it. It is a multidisciplinary science that uses data and techniques from several fields including anthropometry, biomechanics, environmental physics, applied psychology, and social psychology. Ergonomics, or human factors, has the goal to eliminate discomfort and risk of injury due to workplace procedures, equipment, or constraints. Ergonomics has the power to change the way that nurses conduct their work. How can a concept have such an impact? 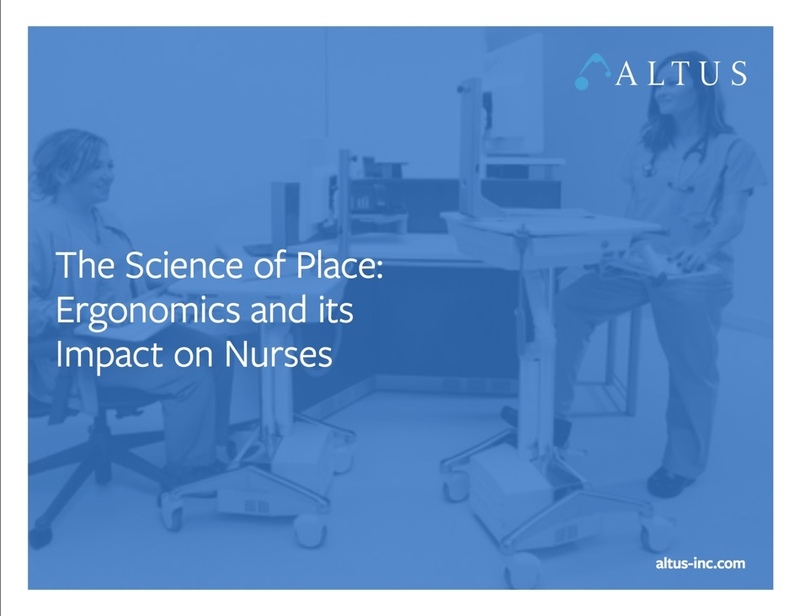 Read further to discover the ways that enhanced ergonomic workstations have a profound impact on the efficiency, health, and overall well-being of nurses in the healthcare industry. • Is an ergonomic workstation really necessary?